A hushed meeting between evangelical leaders took place behind closed-doors Monday night. Donald Trump again disputed his claim had been debunked when it came to how he got "rid of" a law forbidding churches and charitable organizations from endorsing political candidates. The law remains on the books despite efforts by Congress to kill it last year. Trump recalled his victory and said it was just one in a series of victories for his conservative Christian supporters. He warned, "You're one election away from losing everything that you've got." The President impressed upon Democrats the immigration crisis and that "violent people" wound overturn these gains "violently." Trump said, "The level of hatred, the level of anger is unbelievable. Part of it is because of some of the things I've done for you and for me and for my family, but I've done them. … This Nov. 6 election is very much a referendum on not only me, it's a referendum on your religion, it's a referendum on free speech and the First Amendment." The President added, "they will overturn everything that we've done and they'll do it quickly and violently, and violently. There's violence. When you look at Antifa and you look at some of these groups — these are violent people." The other law in question is the law that says churches and charities "are absolutely prohibited from directly or indirectly participating in, or intervening in, any political campaign on behalf of (or in opposition to) any candidate for elective public office." 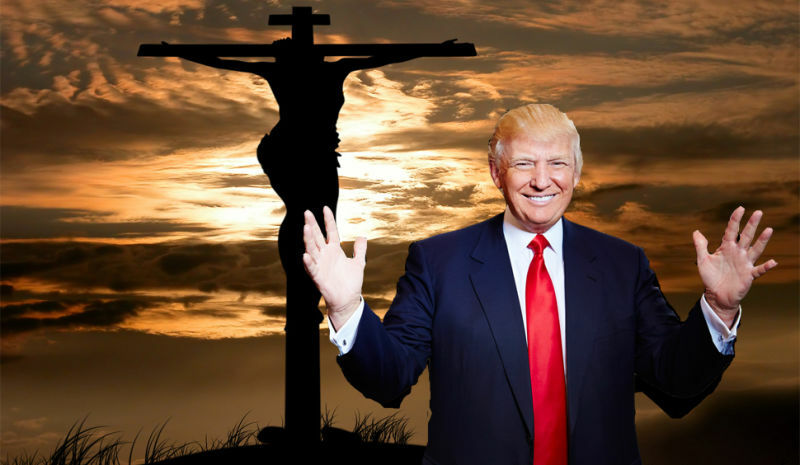 "Now one of the things I'm most proud of is getting rid of the Johnson Amendment," Trump said, the Johnson Amendment blocked the contributions from religious organizations. "That was a disaster for you."